Elgee Park, located at Merricks North on Victoria's Mornington Peninsula, is renowned for its Quarter Horse Stud and the historic Winery. The five hectares of special varieties probably represent the earliest surviving vineyard in this distinctive wine-growing area. 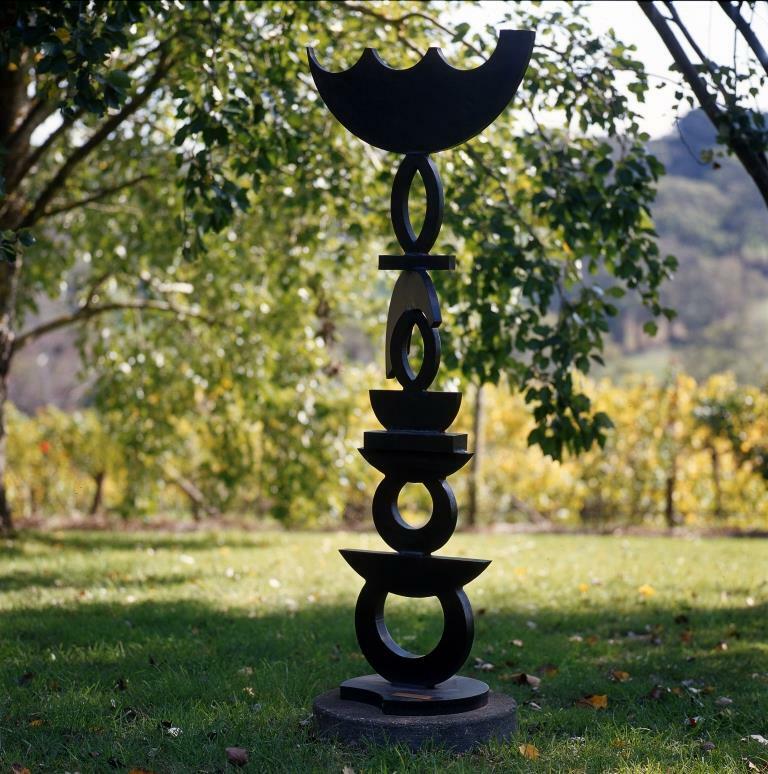 However, over the past 30 years, Baillieu Myer and his family have added yet another dimension to the property by collecting more than fifty large-scale outdoor works by sculptors such as Clement Meadmore, Ron Robertson-Swann, Robert Klippel, Inge King, Lenton Parr, Geoffrey Bartlett, Bruce Armstrong, David Wilson and many others. The vineyard is protected by its natural surrounds and a developed cypress hedge, creating a sheltered location. The warm aspect of this site in a cool climate region is ideal for producing premium grapes. The varieties grown at Elgee Park are Riesling, Viognier, Chardonnay, Pinot Gris, Pinot Noir, Merlot and Cabernet Sauvignon. Elgee Park was instrumental in pioneering the early cultivation of Viognier in Australia; with original trial plantings in 1979 these mature vines now produce a delightful aromatic style wine. Pick up from your accommodation and be driven in comfort to Elgee Park for a guided sculpture walk and tour of the vineyard. Enjoy a wine tasting at Merricks General Wine Store followed by a three course lunch with glass of wine and coffee before being driven back to your accommodation.